The San Pedro Town Council (SPTC) recently purchased two new garbage compactors, and on Tuesday, December 5th one of them arrived on the island. “We bought these garbage compactors because development on the island is increasing rapidly, so the amount of garbage is also increasing. We need to keep up with the demand,” said Mayor Daniel Guerrero. This is the third compactor acquired by the SPTC this year, with the first one purchased in January. 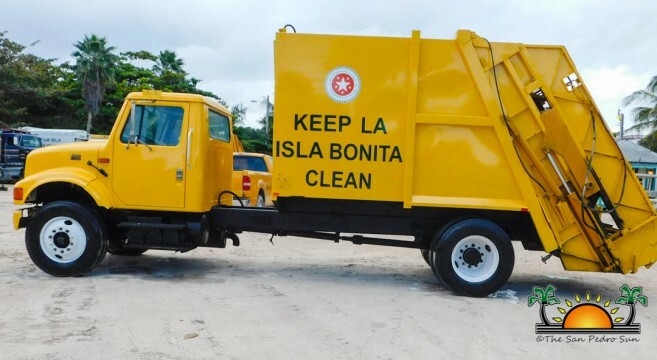 With these two new garbage compactors, the island will now consist of seven trucks used to collect garbage across the island. 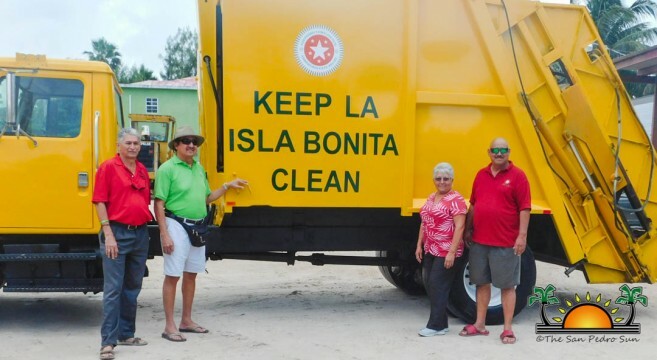 Guerrero hopes that this will help decrease the amount of garbage not properly disposed of. According to Guerrero, the next garbage compactor should be arriving on the island no later than next week.